Tommy Chong Supports Medical Marijuana in L.A. It may come as no surprise that Tommy Chong – of the infamous Cheech and Chong duo – has come out as a strong advocate in support of legalizing marijuana in California. However, our Los Angeles marijuana lawyers know it’s not simply for his notoriously excessive recreational use. According to various media sites, the comedian is currently being treated for prostate cancer. Part of his treatment, he says, includes medicinal marijuana. 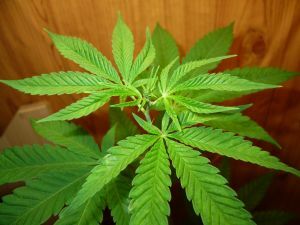 The 74-year-old revealed that he has been treating his ailment, in part with marijuana and hemp oil. Legalization, he said, means a great deal more than simply being able to smoke without being arrested. It was reportedly while serving a jail sentence for sale of drug paraphernalia several years ago that he firs began to notice some symptoms of the cancer. However, he wasn’t diagnosed until just recently. He told CNN that he does not smoke the drug for recreational reasons any more, for various health reasons. He does, however, use the hemp oil in the evening to relieve some of his cancer-related symptoms. Chong now understands what many medical marijuana patients have known for years: that the drug is effective in relieving symptoms such as vomiting and nausea and improving appetite for people who suffer from AIDS and cancer. That was proven by the American Cancer Society, and it has been approved for the U.S. Food and Drug Administration for exactly this purpose. Many medical doctors have come out in support of marijuana for treatment of these ailments, saying you could pile a person up on powerful pain medications, and still not get the same kinds of benefits you would with medicinal marijuana. It is this kind of treatment that gets to the heart of the argument about bans on dispensaries and the onslaught of attacks on patient rights. People deserve to decide, in conjunction with their medical doctor, what kind of treatment is best-suited to his or her unique situation. Sometimes, that involves marijuana. Sometimes not. However, making it difficult or nearly impossible to find the medicine that works the best is a tactic that serves no one. Chong may be an unsurprising advocate, but many professionals – judges, police and legislators – have come out in support of this. It’s not a fringe movement. But battling every aspect of it – from the federal crackdown to the municipal bans to the low-level possession charges for patients – all of it requires an attorney with extensive skill and experience. Chong reportedly has stage 1 cancer, which means it is slow moving and was likely caught before it reached a considerable size. We can expect in the coming years a greater number of those in high-profile positions to come out in support of medicinal marijuana, as its use gains wider acceptance among those not only within the medical community, but the greater population at-large.